May 2, 2016 By Chelsey Leave a Comment This post may contain affiliate links. Read my disclosure policy here. 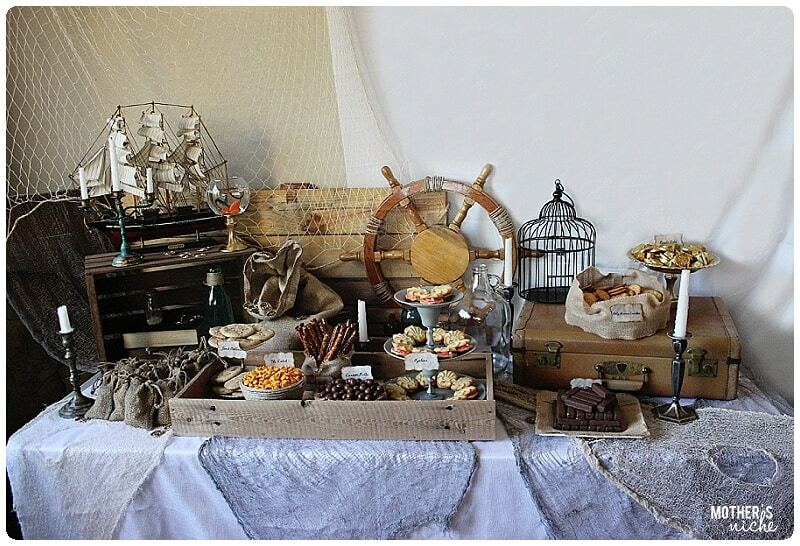 Want to plan the Best pirate party ever? This is the place to help make your party fun and easy, but look incredible. Here you will find all my tips and secrets to create an amazing party! FREE Food Label Printables too. 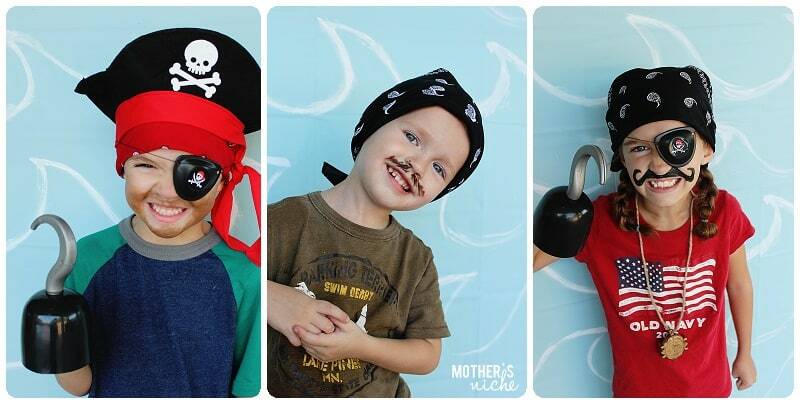 When my son was finally old enough to truly enjoy an active and adventurous pirate party I was so excited. His birthday was months away but I could not stop the tornado of ideas rolling through my brain. 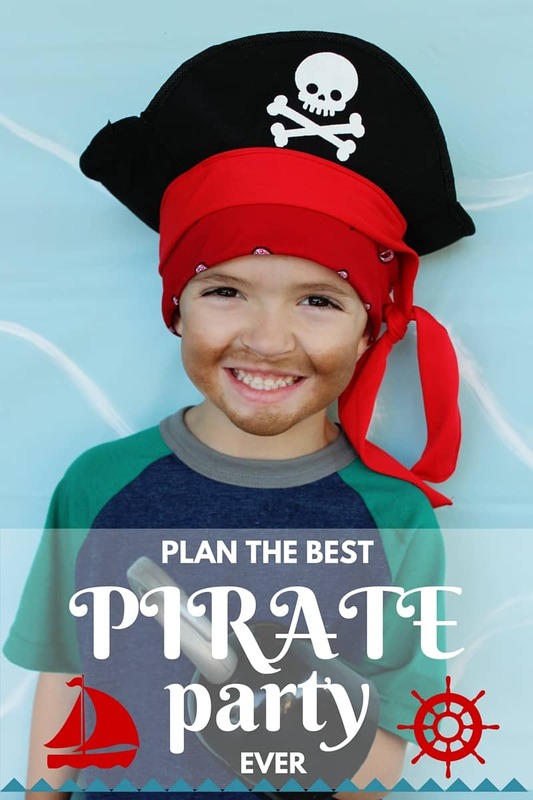 So to help you plan an amazing party for your little matey, I am letting you on board. I always figure out the essentials and then the rest is all fun and games. So figure out the WHO (is invited), WHAT (time), WHEN (is the date), and WHERE (will the party be). These are important things to know from the beginning, especially if you plan to have snacks or a meal, make party favors, games etc. Now for the fun stuff. I like to plan the food, games/activites, and decorations all together. I write down Ideas for each category and then keep my eye out for great deals. I often keep a list in my purse of things I want to have at the party. Here are the things I came up with. The food is everything, right? 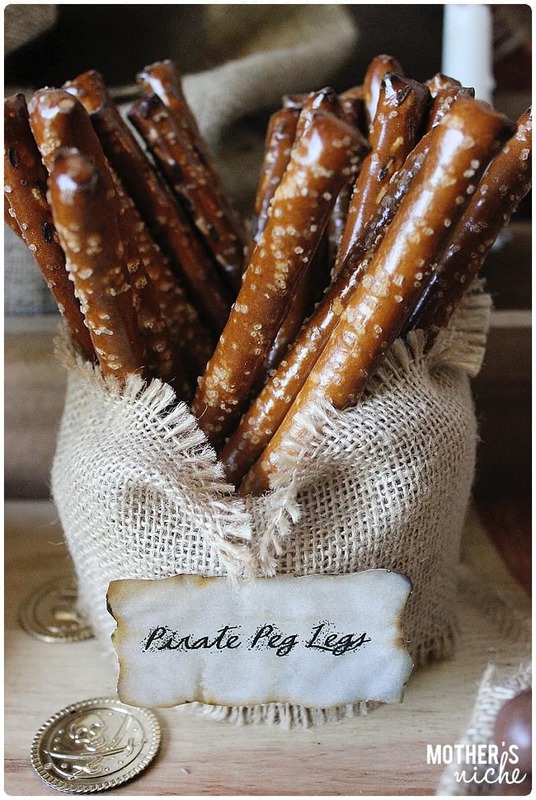 Here are some super fun pirate party food ideas! 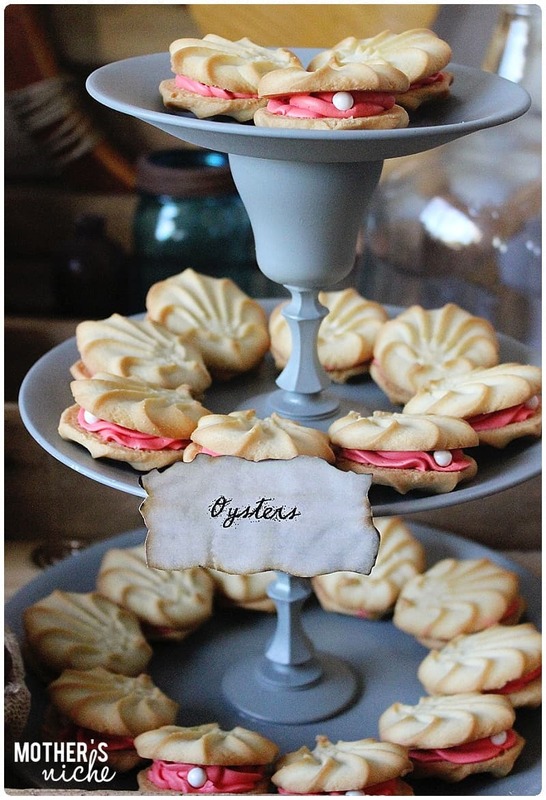 These oyster cookies are my favorite. 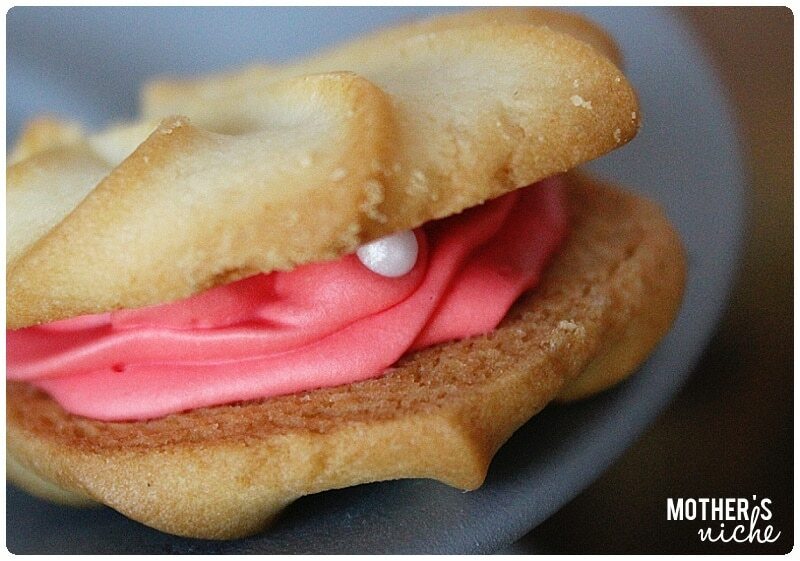 They are made out of Pepperidge Farm lemon cookies (the are shaped like a sea shell) filled with pink frosting and a white pearl sixlet candy. So easy and incredibly adorable. The tiered desert plate is made from two small glass goblets super glued to three glass plates. Once glue is dry, spray paint. I usually do all my painting at least a week before to make sure all the paint has cured properly. I used the large rod pretzels and placed them in a burlap covered stout glass vase. I wrapped a glass bowl with jute rope attached with hot glue. 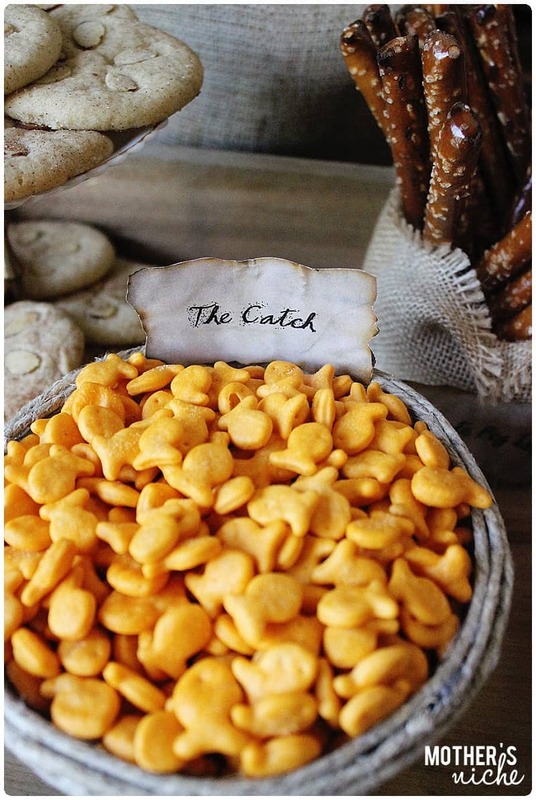 Then filled the bowl with fish crackers. Jute rope found HERE. These are so simple. 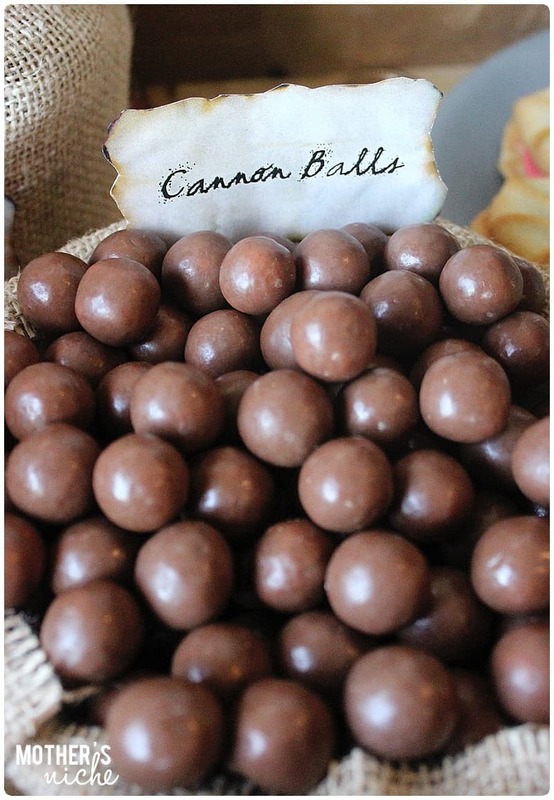 Just chocolate covered malt balls in a burlap wrapped bowl. Easy Peasy! I again used a bowl wrapped in burlap and used classic butter flavored crackers. You need to have some crackers for your pirate’s parrot. 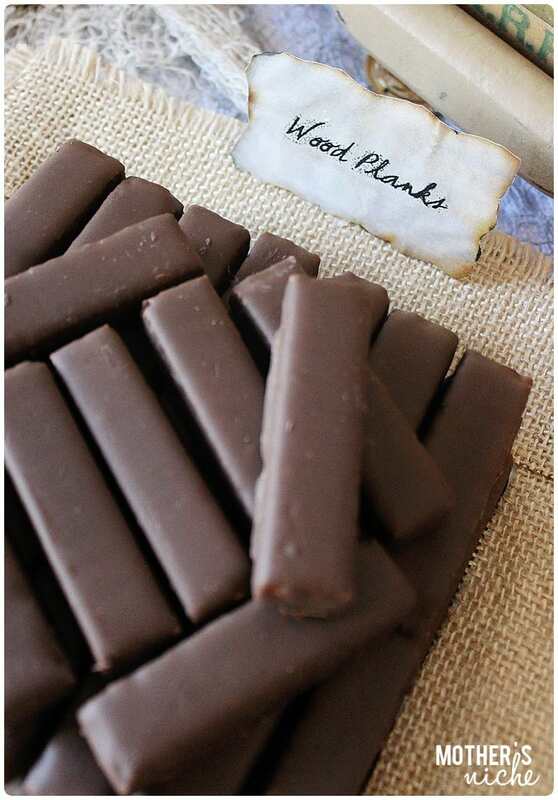 These chocolate covered wafers are perfect for wood planks. They are a must. 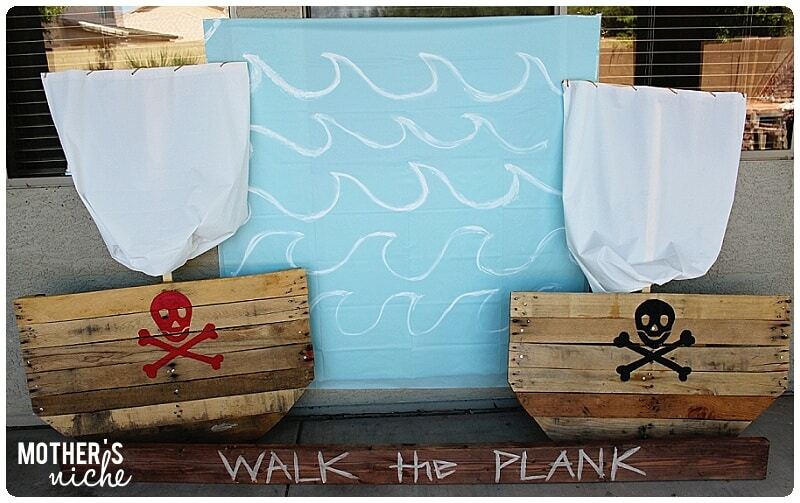 More than once during the party snack time did I hear the kids say to each other,”Walk the plank”! The plate was covered with a square of burlap the the wafers on top. Kit Kat candy bars would work great also. Make your favorite snickerdoodle cookie dough. After separating dough into small balls and rolling them in cinnamon sugar. Place them on a cookie sheet and lightly smash them down to make the top flat. Then gently press 5 slivered almonds onto the top creating a flower or star shape. Bake as usual. 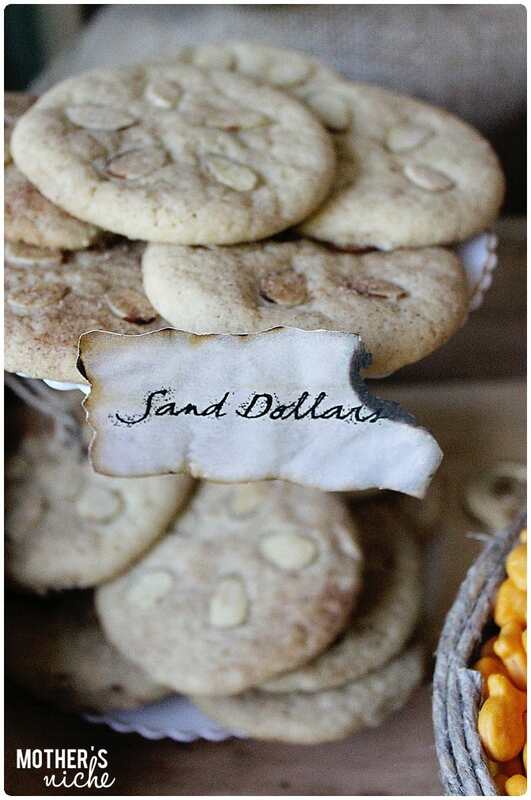 And Viola, perfect sand dollar cookies. I made another tiered dessert plate this time with just one plate and one glass candle holder. Then filled with gold foil wrapped candy. Chocolate gold coins, rolos, hersery’s nuggets are some of the candies I used. If you aren’t having fun yet. This will get you excited. The decor is where everything comes together. Use old weathered pallets, burlap bags, candle holders painted to look old, books with pages brushed with brown shoe polish and white plastic table clothe stretched over the wall for a sail. You can also dye cheese cloth grey, and brown then tear and drape all over the table. The wood ship wheel can be found HERE. I used a glass candle holder glued to a small fish bowl. Plastic gold coins and a fishing net as seen HERE. The pirate ship can be found HERE. 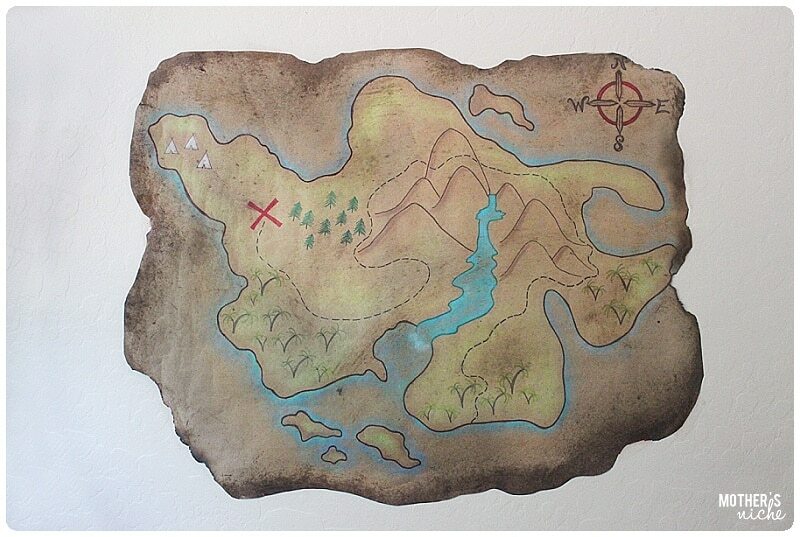 The treasure map was made out of brown recycled wrapping paper. It is 3 feet by 2 feet. I used all kinds of funny things to make this map. The list may or may not include permanent markers, chalk, blue and green eye shadow, and shoe polish. Ha ha ha! Hey, use what you have. Nothing that stinks more than running to the store part way through a project. I didn’t burn the edges on the map because it would have taken forever so instead I brushed brown shoe polish on the edges and cut the edges jaggedly. It was really fun to make! As the kids arrived to the party the got dressed up as pirates. I painted different beards on them and each child got a compass necklace, eye patch, and bandana. The birthday boy got the captains pirate hat. Once they were dressed up. I had them smile or growl in front of a little ocean background I taped to the wall. I made it out of a cheap blue table cloth that I painted white waves on. Pirate ships: I cut an old in half, rounded the corners, attached a center pole and then another strip of wood across the top making a “T”. Then attached a plastic white shower curtain with jute rope to the top if the “T” making a sail. Then I painted pirate cross bones on the front. If you have a good saw, this is really easy. The Plank: I used an 8 foot 2″x6″ piece of wood and painted on the words. 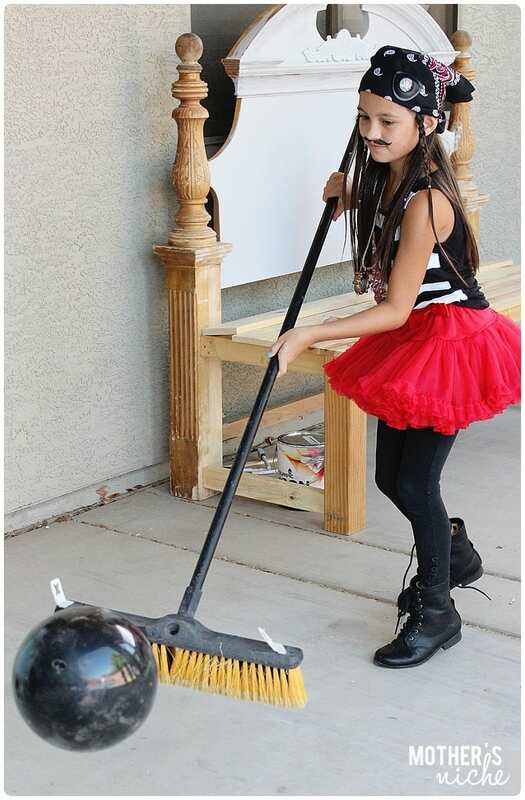 Scrub the deck (push black balloons from one side of the patio to the other using a push broom). Then “walk the plank” (if you fall off, try again), the escape the octopus (crawl under each leg), and finally use the pirate hook to grab some pretzels from a pail (to snack on while the others run the course). 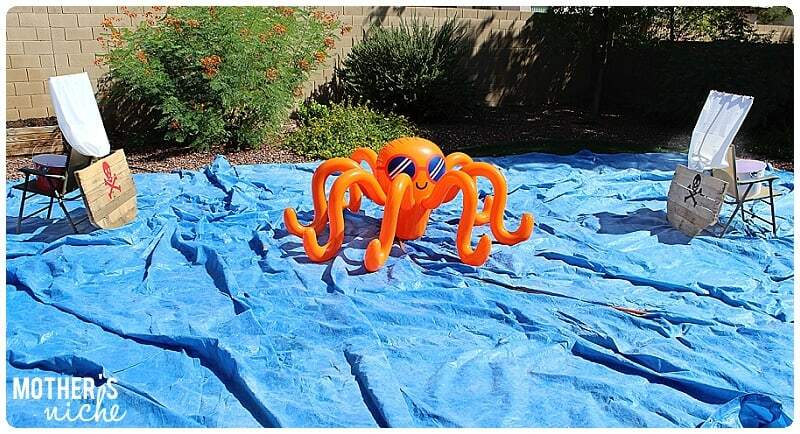 The Octopus inflatable can be found HERE. The kids were laughing and cheering! It was really fun! On the invitation I asked the parents to bring their kids in a swimsuit and bring a towel. My husband and I had previously filled 300 water balloons. 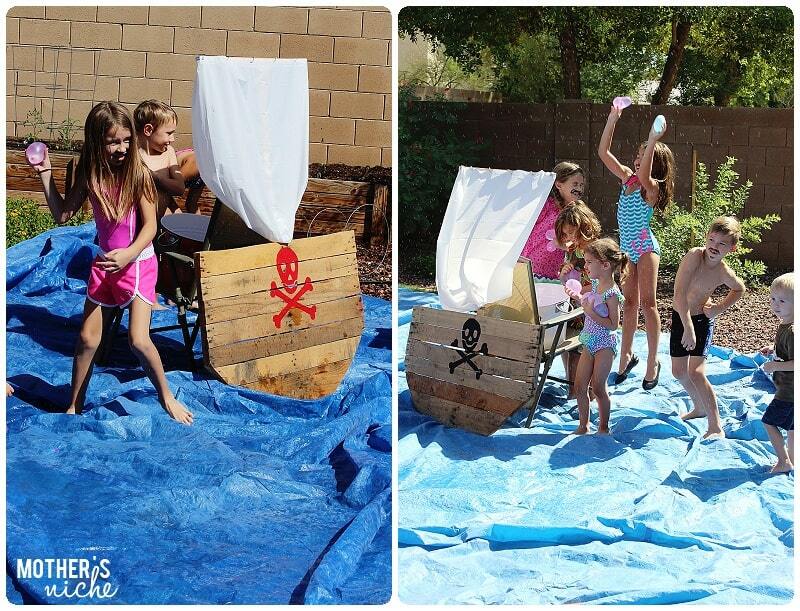 We set up the ships across from each other in the yard, then put the divided water balloons in large buckets on each side. It’s time for a BATTLE! I divided the kids up and sent them to their ship. THEN yelled “AAAaarrgh”. The water canons were flying everywhere. All the kids ganged up on my husband in the end. they got him really good. My son and his friends talked about his party for weeks. It was a really fun party to plan. 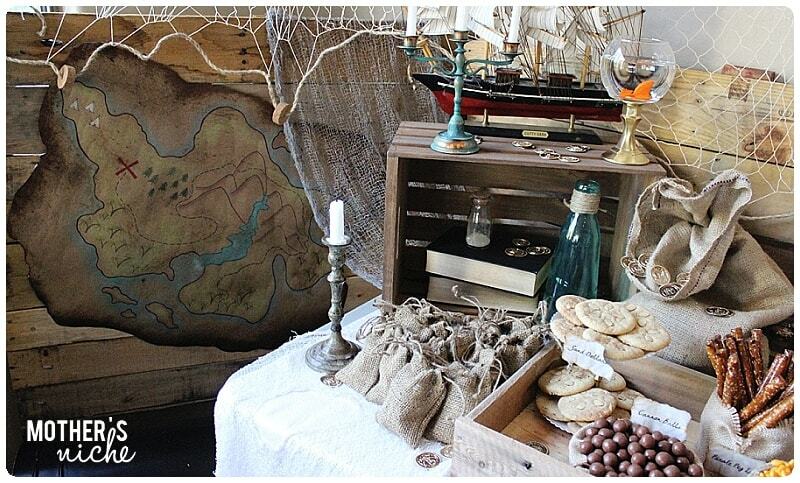 Now that it is broken down and you know all my secrets, Go plan your Pirate Party! GOOD LUCK PLANNING, MATEY! « SUMMER STARTER KIT: Everything you need to start your summer off right!